Our team of experts is here to help you achieve your internet marketing and technology goals. Using proven technologies, our cutting edge platform was designed to grow as your business grows. You need a “one-stop” platform that allows you to adapt to your business requirements and a partnership team that can make it happen. PROS is your ultimate technology and marketing solution partner. We never say the word impossible. Our team of experts strives to be on the cutting edge of technologies from the latest in web, mobile, AI, Blockchain and IOT. Technologies change fast and our solutions adapt to these latest global standards to make sure that you can achieve your internet marketing and technology goals. With the help of our many partners, like Google, AdRoll, PayPal, Microsoft (Bing Ads), Intuit (QuickBooks), Amazon, Shopify, Magento, Shopify & WordPress, we bring a complete, best-in-class experience to your customers based on data driven results. From real estate, marketplaces, web development, ecommerce, hospitality, mobile apps, professional services, high tech, to start-ups, we have worked with all. You need a “one-stop” platform that enables you to adapt to your business requirements and a partnership team that can make it happen. We are a perfect mix of Marketing and Technology working on the principles that enable us to seek better solutions for your business. Our web development team has designed the most effective strategy in order to produce exceptional results. We provide data-driven solutions that help our customers to adapt the constantly evolving world of technology. With our data-driven solutions, we can handle your IT partners for Ecommerce, SaaS, APIs, design, Custom development, marketing automation and integrated marketplaces platforms.Our online marketing team shares the passion to collaborate with our customers to execute their vision for unprecedented success. We have partnered with leading companies in the market to provide our customers with end to end solutions. We have a robust network of the best companies of the industry like Google, AdRoll, PayPal, Amazon, Magento, WordPress and Shopify to ensure quality work. Our partners integrate with us to make sure we provide turnkey digital marketing solutions to retailers, manufacturers, wholesalers, distributors from small businesses to large corporate enterprises. Our strategic partners are an extension of our business and trusted solutions, and help us to provide engaging and quality experiences to our customers which in turn enhance the bottom line for our clients. 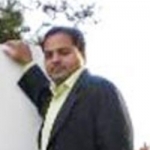 Deepak Wadhwani has over 20 years experience in software/wireless technologies. He has worked with Fortune 500 companies including Intuit, ESRI, Qualcomm, Sprint, Verizon, Vodafone, Nortel, Microsoft and Oracle in over 60 countries. Deepak has worked on Internet Marketing projects in San Diego, Los Angeles, Orange County, Denver, Nashville, Kansas City, New York, San Francisco and Huntsville. Deepak has been a founder of technology startups for one of the first Cityguides, Yellow Pages Online and web-based enterprise solutions. He is an Internet Marketing and Technology expert & co-founder for a San Diego Internet Marketing company. He has worked on many facets of eCommerce and Internet Marketing with leading brands such as TurboTax, Best Buy, Century 21 Real Estate, Staples, Nike, eHarmony, Adidas, Zappos, Ticket Network and many more. 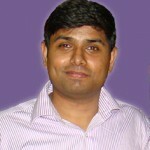 Vikram is a SEO/SEM professional with lots of experience in eCommerce and high traffic web properties. 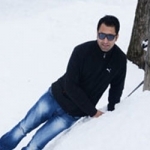 He has a total of 10 years of experience in Search Engine Optimization and PPC management. Vikram specializes in SEO for real estate, travel, eCommerce and ticket broker websites and dynamic portals (large websites with millions of landing pages). His area of core specialization is Natural SEO/Organic SEO for Google and other major search engines like Bing and Yahoo!. He also has experience in Internet Marketing, Search Engine Optimization, Search Engine Marketing, Lead Generation, Affiliate Marketing, Online Advertising, Marketing Analysis and Web Analytics, and Specialties SEO. Tribhuvan is a web designer/web development professional with much experience in UI design and development. He has over 9 years of experience in the field. Tribhuvan specializes in Web Design and On-Page SEO for travel and eCommerce websites. He also specializes in HTML/CSS; Image Editing, Video Editing, On-Page SEO and High-End UI work. He holds course certification from one of the Google partners in White Hat practices for Web Promotion and Marketing. 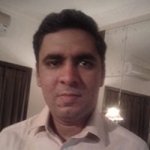 Zahoor has over 5 years of experience as an online editor and media manager. He has worked with major online news and content sites as a media manager/editor. He has also worked with Radio Panos as an anchor and scriptwriter and with the Institute for Research on India and International Studies (IRIIS) as field investigator and researcher. He is well-versed in major content management systems and web platforms such as WordPress and Social Media networks including Facebook, Twitter, YouTube, Google+ & LinkedIn. His focus is always to optimize products & services based on goals and KPI’s. He works closely with the Social Media team and SEO team to optimize the websites, boosting search rankings for important keywords and driving new users to the site via search engines like Google, Yahoo!, Bing and Social Media networks. 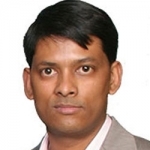 Rajat is a CMS Expert with 4+ years of rich experience in WordPress, Magento, OpenCart, Joomla, Drupal and PHP coding. He practically lives and breathes CMS engines. His core competency is structuring CMSs in a way that they are search engine friendly (SEO-friendly) and helping businesses to launch websites/web portals that are a success on account of their design. Rajat has worked on eCommerce applications and many custom workflow-related applications and has created custom solutions and modules that work for clients.